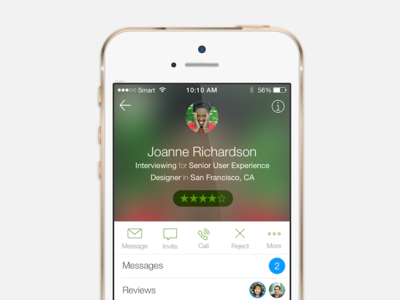 MVP iOS app to go with our free online recruiting software. 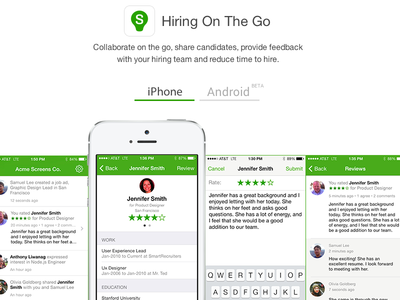 Manage candidates and jobs on the go. 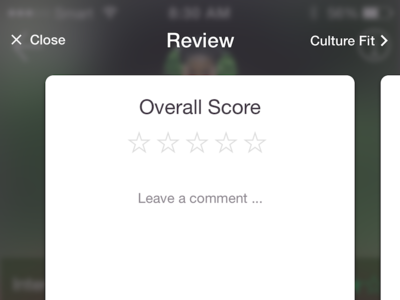 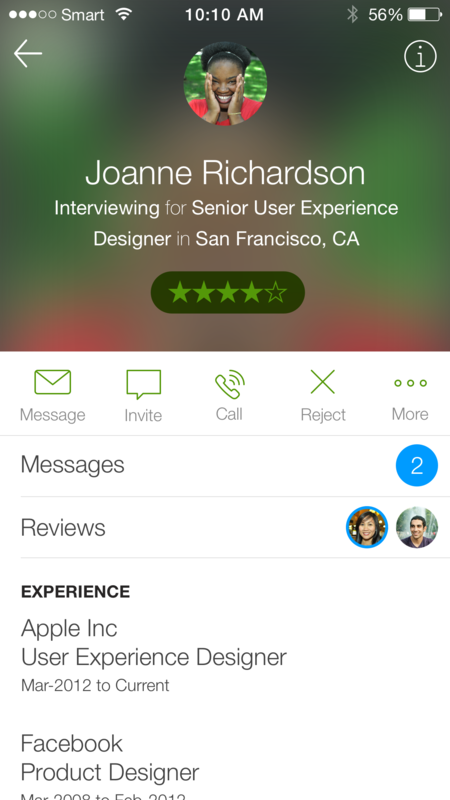 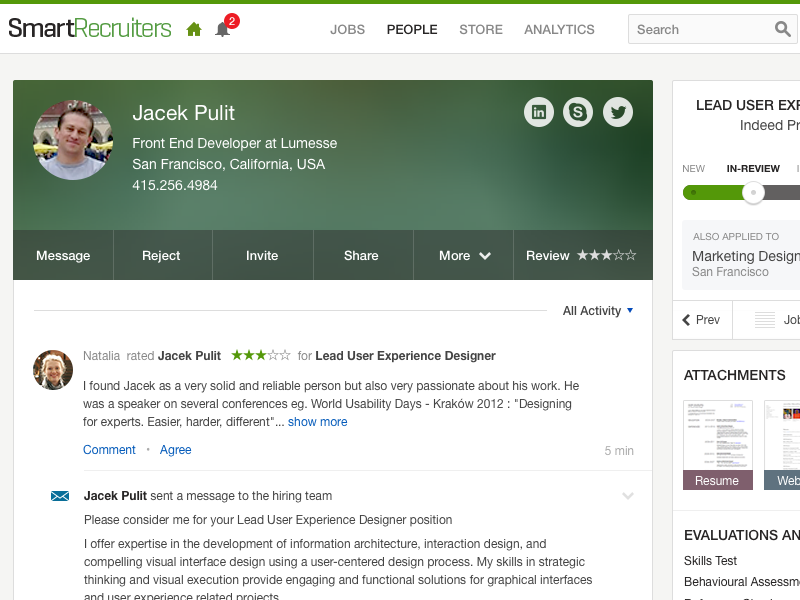 Card based UI idea for reviewing a candidate based on certain criteria. 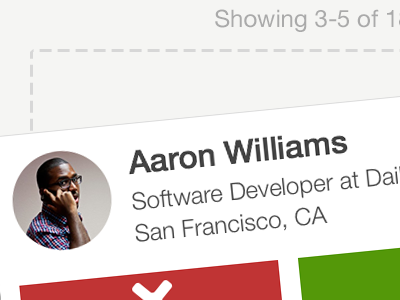 Working on the next version of our hiring app that brings it closer to feature parity of our web app. 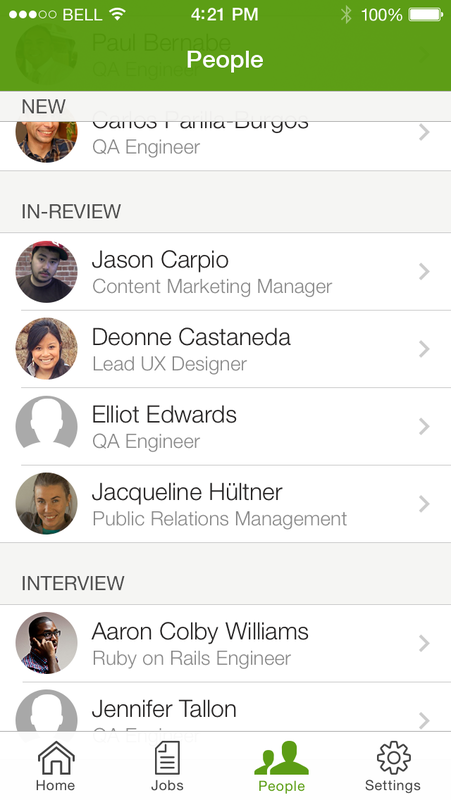 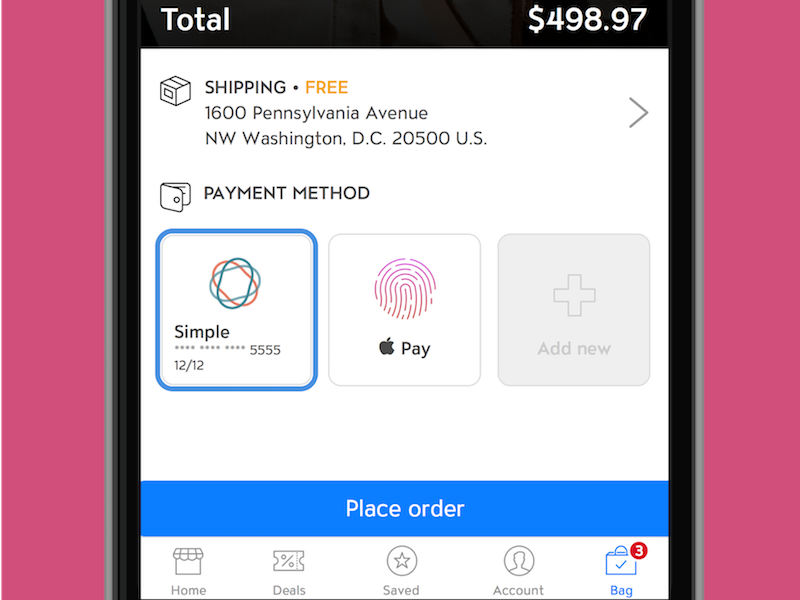 Starting to prep the product page for our upcoming iOS hiring app. 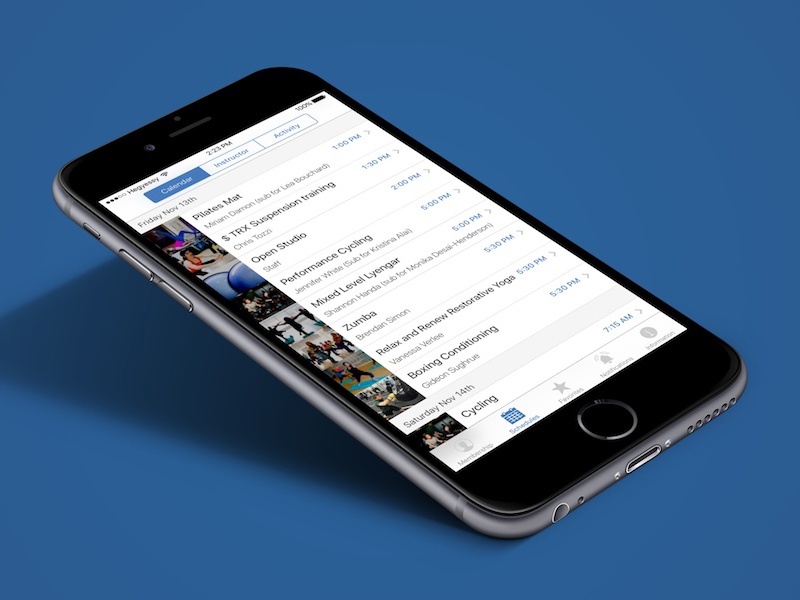 iOS app to go with our free online recruiting software. 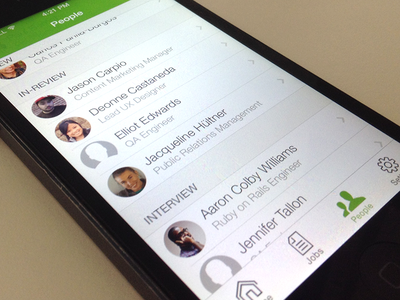 Manage candidates and jobs on the go. 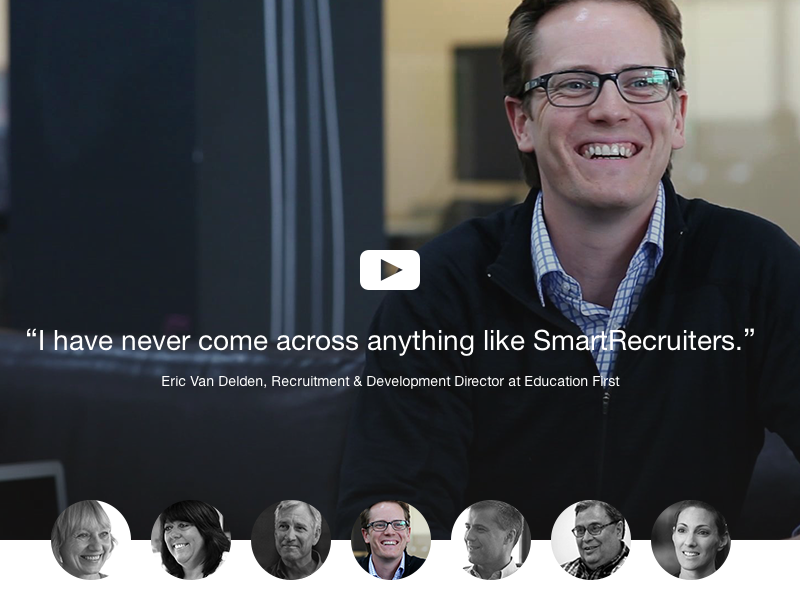 People are grouped by where they are in the applicant flow. Real pixels attached.